Ladbrokes will be best price* on all correct score and first goalscorer selections for the top of the table Premier League clash between Manchester City and Chelsea. The hosts can leapfrog Arsenal and take pole position if they’re victorious at the Etihad Stadium, an outcome priced at 17/20. Jose Mourinho’s Chelsea are five points behind the league leaders and 7/2 outsiders to beat City but could throw the title race wide open again if they come away as the winners of this contest, while the draw is available at 13/5. And despite the Blues’ Portuguese manager previously adopting a cautious approach away at some of his team’s nearest rivals this season, Chelsea will find it difficult to repel a rampant home attack. An incredible 42 league strikes scored at home this season has helped the Citizens climb into championship contention and it’s hard to argue against a glut of goals being the order of the day in Manchester. Cross-town enemies United, Tottenham, Arsenal and Liverpool have all been dispatched by City, with the first three of those sides defeated in emphatic fashion. Spurs and Arsenal both conceded six times on their visits to face Manuel Pellegrini’s side with a 6-0 victory against Chelsea at outlandish odds of 325/1. The visitors have managed to keep clean sheets in trips to both Manchester United and Arsenal this season though, and another 0-0 stalemate is perhaps a more tempting offer at 12/1. However, it’s arguably choosing a first goalscorer that could be the most interesting conundrum. City’s Alvaro Negredo has notched 16 goals in his last 13 competitive matches at home and is 9/2 to open proceedings here. 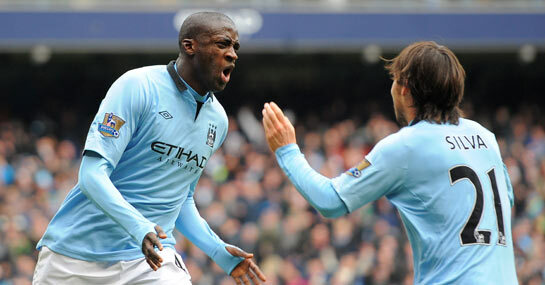 Meanwhile, teammate Yaya Toure, so often a scorer in big games, is 8/1 to break the deadlock, just as he did in the corresponding fixture last season. For the opposition, Blues midfielder Andre Schurrle is a 14/1 chance to score first having done so against the Citizens in his side’s 2-1 victory back in October while in-form striker Samuel Eto’o is an 8/1 shot. *Best price is defined as “we will not be beaten on price” for the quoted event by William Hill, Coral, Bet365, Paddy Power and Betfred. We will be using oddschecker.com as a guide to update our prices to ensure they are not bettered by William Hill, Coral, Bet365, Paddy Power or Betfred.